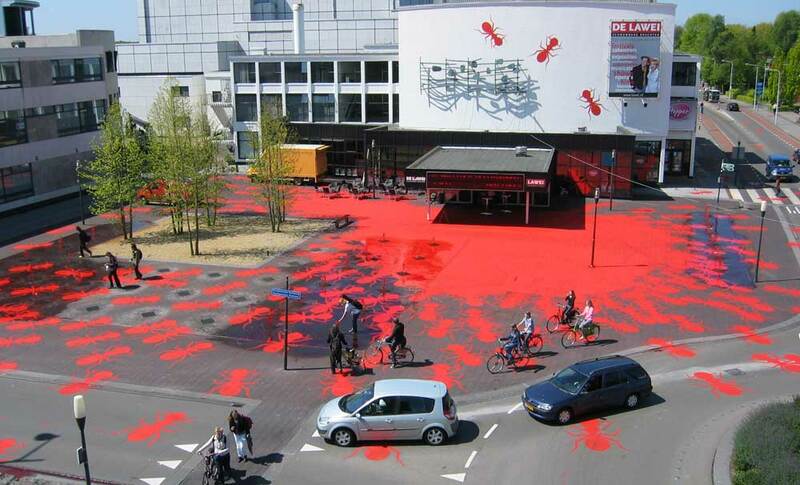 About 500 red ants are spread in the city of Drachten, The Netherlands. 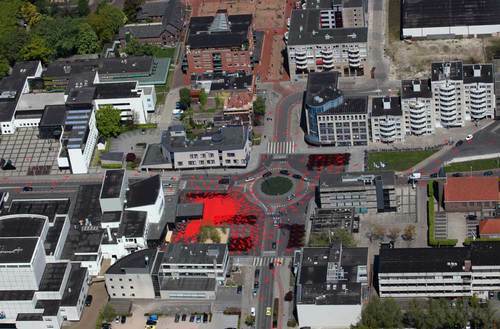 Most of them came together in front of the theatre De Lawei, to celebrate its 50th anniversary. 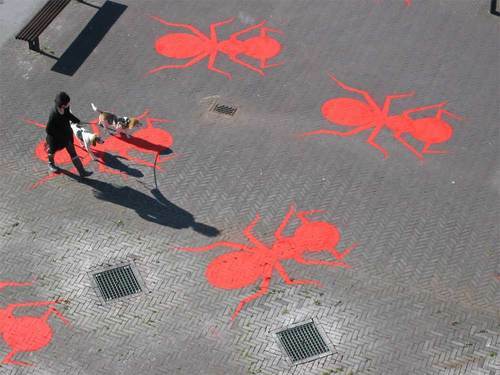 Each ant is three meters in length and two meters wide. 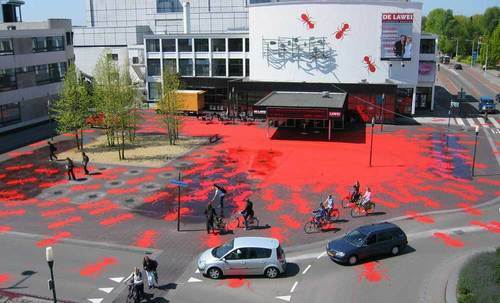 The ants on the building are from synthetic material.